The DDJ-RZX is Pioneer DJ’s flagship Rekordbox controller that comes with three touchscreens and mechanical jog wheels. It’s meant to be used with the Rekordbox DJ video pack that allows mixing video in the DJ software. 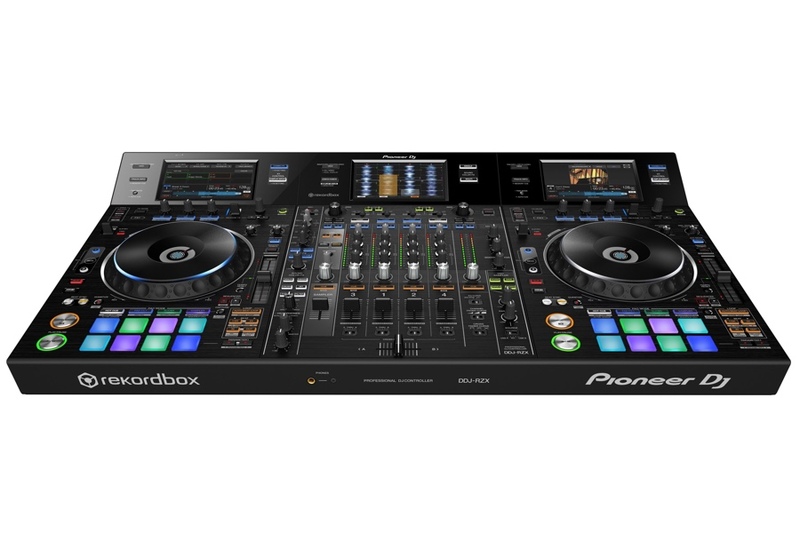 The Pioneer DJ DDJ-RZX is a professional four-channel DJ controller for Rekordbox DJ and Rekordbox Video. It has three touchscreens for track navigation, video control and waveform information. It’s also got performance pads, three-band EQs and trim per channel, mechanical jogwheels similar to what you’d find on a club standard CDJ, and onboard Sound Color FX. The DDJ-RZX has two combo XLR / TRS inputs, several RCA inputs for different signal levels and two USB jacks for DJ switchovers. Outputs include XLR and RCA master outputs, 1/4″ booth outputs, and two headphone jacks. Despite its massive size, the DDJ-RZX will feel familiar to DJs who use Pioneer DJ gear because of its layout. Using the touchscreens is straightforward, especially when controlling the visuals through Rekordbox Video. The touchscreens display all relevant information such as waveforms, BPM and cues as well as video previews and image playback. They’re nice to look at, though the screens themselves are starting to look a bit dated since they aren’t as sharp as today’s smartphones. An Amazon reviewer describes the DDJ-RZX as the ultimate DJ controller but has cited some issues with some versions of Mac OS. Overall, the Pioneer DJ DDJ-RZX is a beast of a controller, with high-quality components and premium features for audio and video performances. 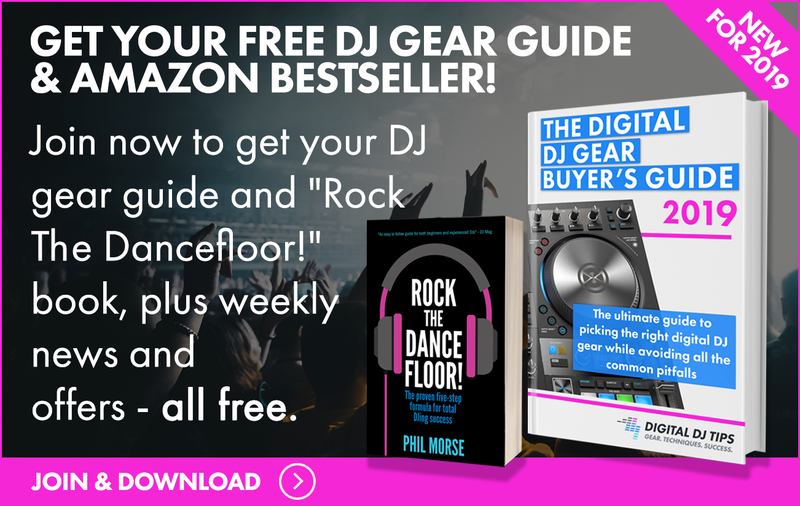 If you’ve got money to spare and would like to control both the music and the visuals from one dedicated controller, the Pioneer DJ DDJ-RZX should be on your shortlist.